Manchester Therapy Centre gift vouchers for Massage, Aromatherapy or Reflexology. 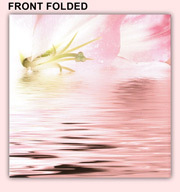 A selection of cards & matching envelopes are available. This voucher can be posted or emailed, with a message, direct to the recipient. Please specify when ordering. Manchester Therapy Centre gift vouchers for Massage, Aromatherapy, Reflexology, Reiki and other Holistic Therapies. A selection of cards & matching envelopes are available. Manchester Therapy Centre gift vouchers for Thai Massage and Sports Massage. A selection of cards & matching envelopes are available. Manchester Therapy Centre Indian Head Massage gift vouchers are the perfect gift for all occasions. An Indian Head Massage will relax and balance the mind and body helping to remove stress and tension. A selection of cards & matching envelopes are available. These Manchester Therapy Centre 90 Minute Hot Stones Massage gift vouchers are the perfect gift for all occasions. Hot Stones Massage promotes deep muscle and tissue relaxation, alleviates stress, releases toxins and improves circulation. A selection of cards & matching envelopes are available. These gift vouchers are perfect for anyone who would enjoy learning the basics of massage and spending a weekend giving and receiving massage. The workshop is available every two months and dates are available on this website by clicking here. This voucher can be posted or emailed, with a message, direct to the recipient. If sending direct we can add a Birthday or Christmas card if required. Please specify when ordering. This voucher can be posted or emailed with a message, direct to the recipient. If sending direct we can add a Birthday or Christmas card if required. Please specify when ordering.